How Do I Review Work Health and Safety (OHS) Risks? Identifying, accessing, and controlling work health and safety issues is imperative in helping to create a safe working environment for your employees, but none of these steps towards safety will do you much good if you don’t know how to review work health and safety risks. ・ That the controls you put into place eliminate the hazard or reduce the risk of injury should the hazard occur. ・ That the controls that have been put in place do not create additional risks of their own and are practical to use. ・ Are new safety procedures being understood and followed? ・ Does more need to be done to decrease the risk even more? ・ Have workers had adequate training to perform the job, or use tools safely and correctly?Have workers been informed of the risks currently present and do they have the training and the knowdledge to deal with those risks? ・ Have all safety risks been found and addressed? ・ Have workers been consulted to any additional risks and possible solutions? The best way to review work health and safety risks is by reviewing each control you have put into place in order of the seriousness of the risk involved. Make sure that each solution you have put into place takes care of the problem or reduces it while you search for better alternatives. As you gather new information about various risks or as new techniques or solutions to eliminate or reduce risks become available assess whether or not the new solutions are better and more practical than the solutions you already have in place. If the controls you have put in place do not eliminate the risk or reduce it substantially then reassess your options and look for a different way to control the risk or consider adding additional controls to further reduce the chance of injury. Keep in mind that to review work health and safety risks is for the sole purpose of finding out which controls work well, which ones need to be improved, and which ones simply don’t work at all or create additional risks. Not every solution you come up with is going to be the “best” solution the first time around which is why reviewing these controls is so important. Creating a safe working environment is an ongoing part of owning or operating a business and your efforts will eventually be rewarded when over time there are less accidents, less time lost, and increased productivity and employee satisfaction. 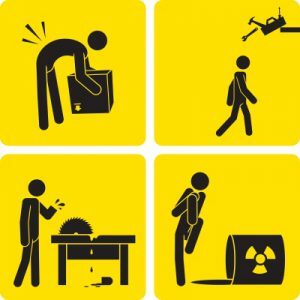 To review work health and safety risks periodically means you can find and eliminate those risks before they result in injury or harm.